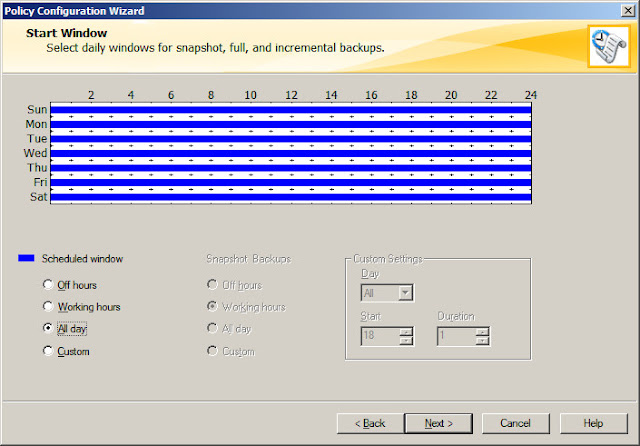 NetBackup relies on information stored on catalog to restore the data, catalog must be backed up regularly to restore the data backup information in case of damage or lost. 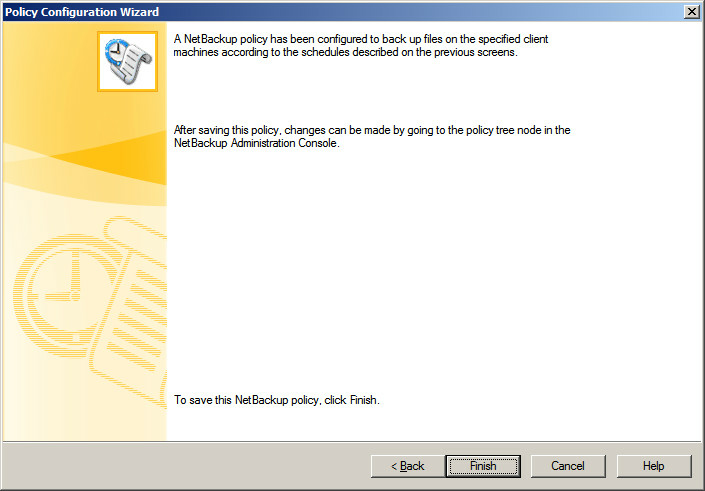 Catalog policy must be created before the backup policies, you can either create while doing post installation configuration of Symantec NetBackup 7.5 or create from the NetBackup administration console. 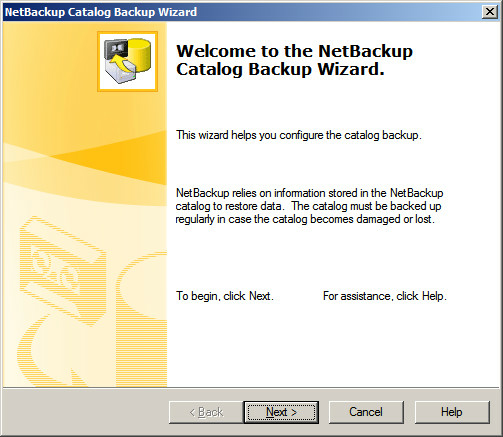 In admin console, select the NetBackup server and click on configure the catalog backup. 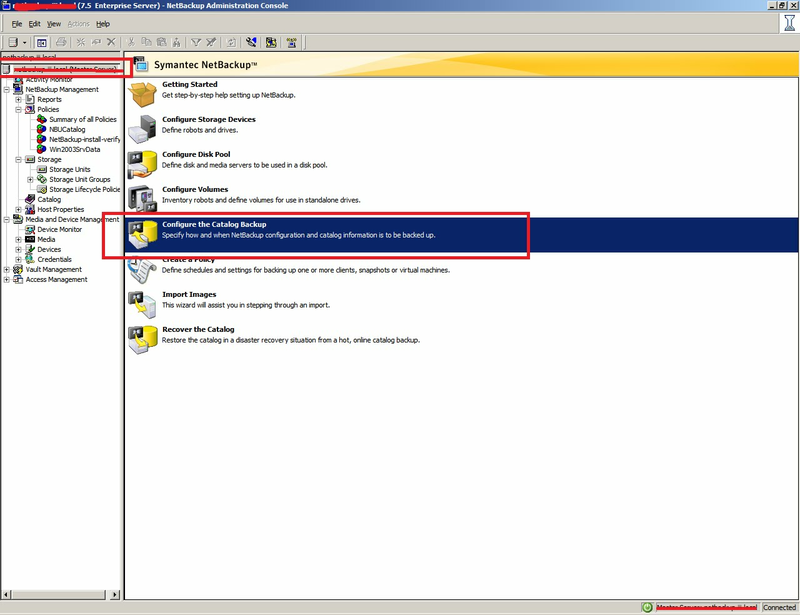 If you are continuing from the previous tutorial Configure Symantec Net Backup 7.5 on Windows 2008 R2 (Post Configuration of Symantec NetBackup 7.5). 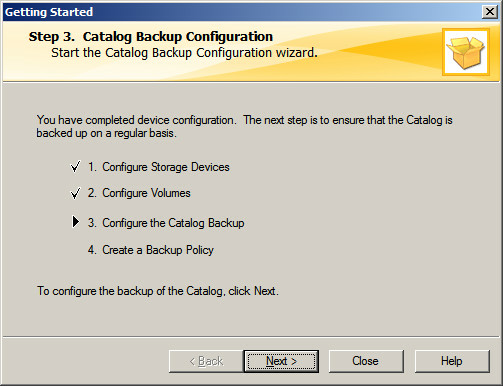 Now click on Next to configure the Catalog policy. 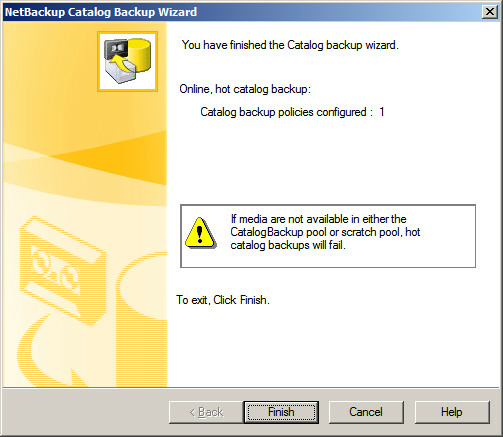 Click on Next configure the Catalog Backup policy. 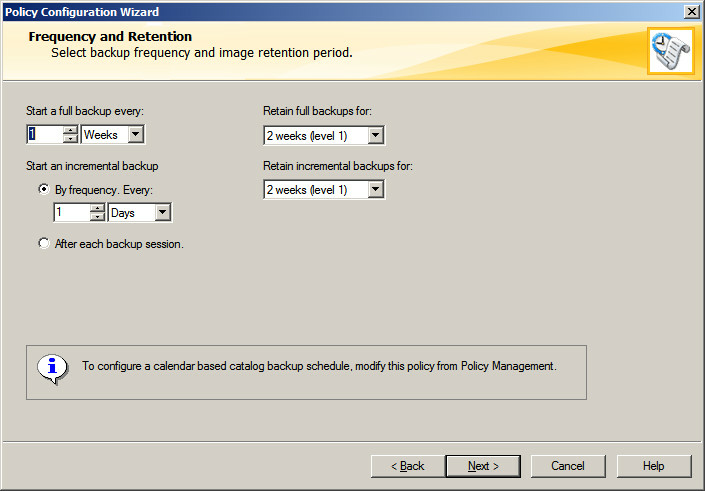 It will list the available catalog policies, since we are creating first time; you will get a blank page. 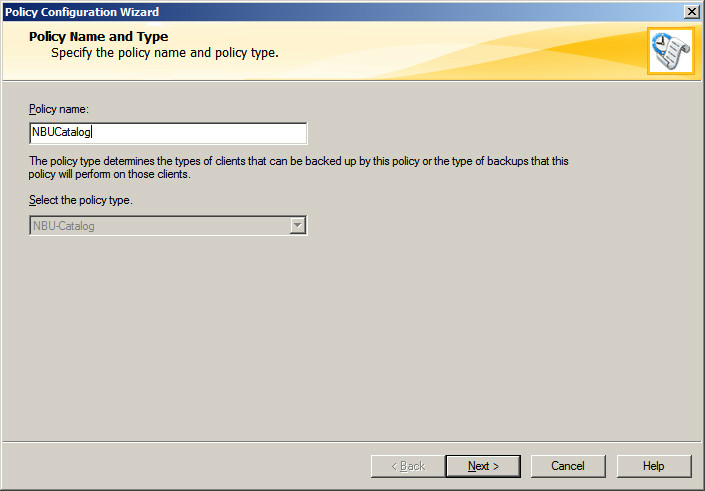 Click next to create new a policy. Enter the name of catalog policy, By default, NBU-Catalog policy type will be selected. Select the type of backup policy, full backup with differential incremental backup. Set the schedule of backup, leave it. 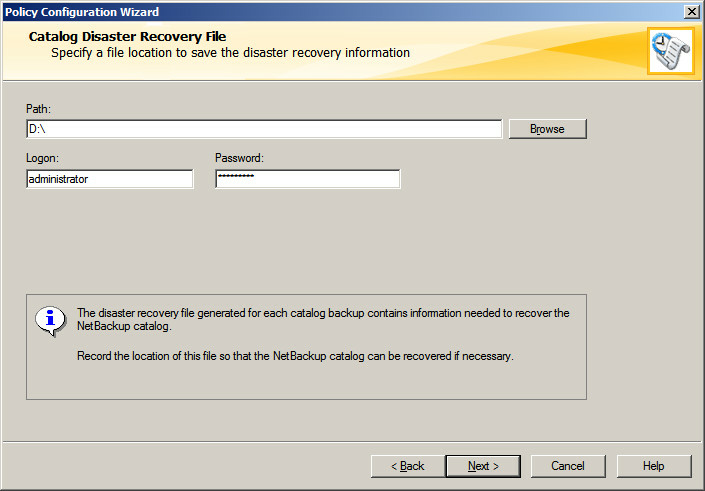 Locate the path to save the disaster recovery information, this is required to recover the catalog backup. 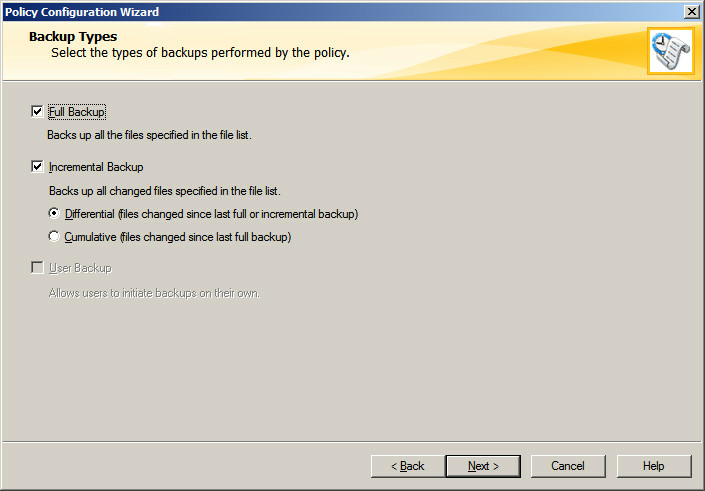 provide the user name and password of a user who has the permission to save the file on the above path. 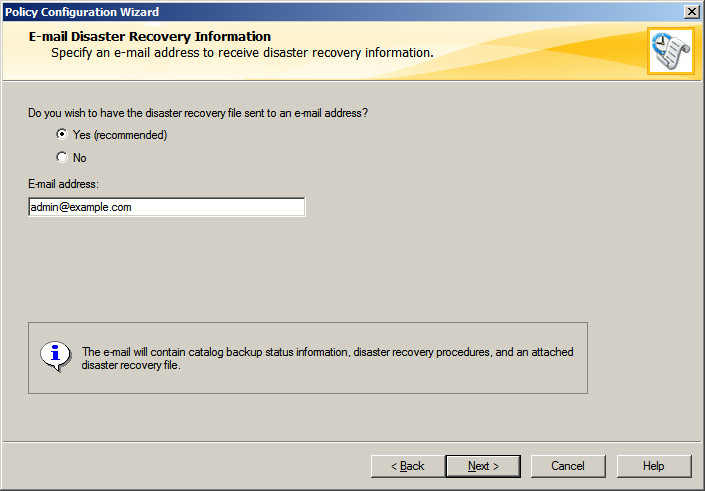 Optional to sent a recovery file to mail id. 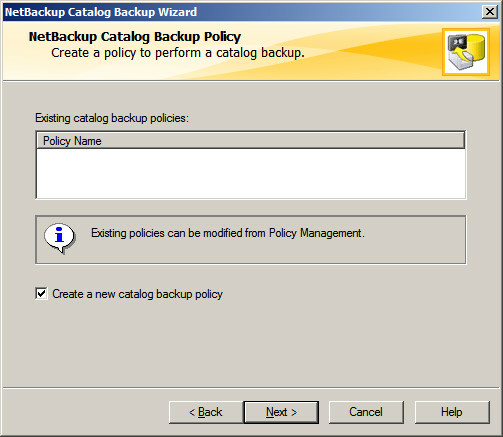 It lists the policy that we have created earlier, New catalog backup policy can be created by checking on Create a new catalog backup policy; otherwise click on Next to confirm the created policy.